Theater in the Now: Liza Gets SMASHed! 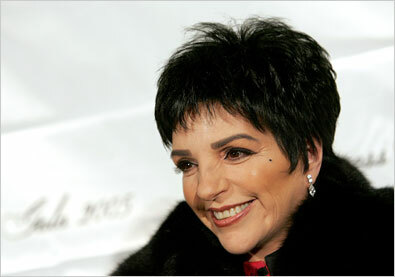 Liza Minnelli is about to play the hardest role she's ever had to tackle, again...herself. Liza is said to perform an original song as a duet with Christian Borle's Tom. Will Liza's role as herself have any impact on the plot of the musical sophomore series or is she there to draw buzz? Time will tell bet it's safe to say every theater queen, fan of "Smash" or not, will be tuning in for her guest spot! "Smash" is set to premiere on February 5, 2013.